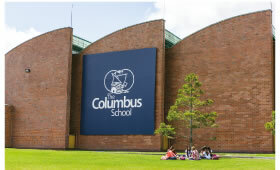 The school is headed by a Superintendent who is a professional educator with an extensive teaching career, who provides guidelines for the Columbus School to be an innovative and avant-garde institution. 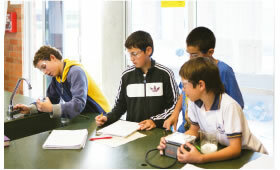 Our curriculum is based on standards and benchmarks for each subject area. We review and revise these as needed to ensure that a meaningful scope and sequence of skills, concepts, knowledge and attitudes are systematically being taught and assessed. 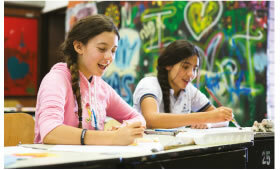 Learning principles are followed to help with continuity from elementary through high school. 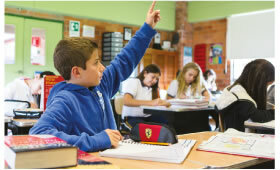 Teachers employ a backward design concept model in developing their unit plans by department and by grade level. The curriculum maps contain the big ideas, essential questions, resources and assessments needed for each unit being taught over the course of the year. School-wide meetings are held several times each year to discuss alignment and resource sharing for continuous improvement.